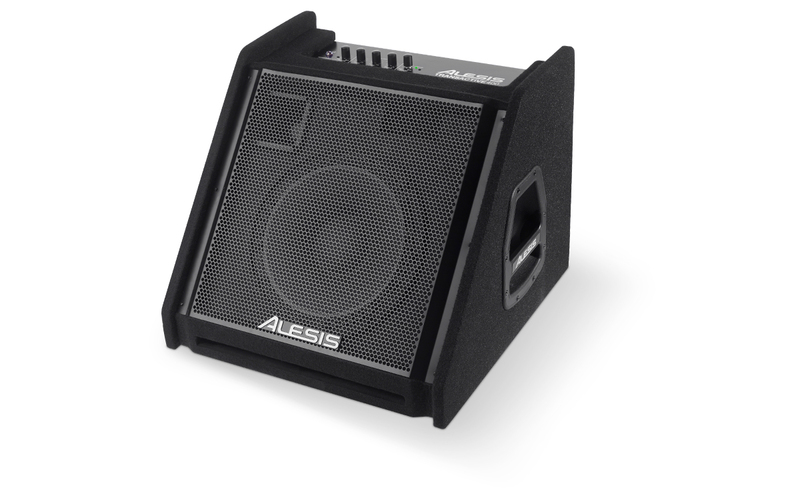 The Alesis TransActive 400 is a powerful amplifier solution for the modern electronic drummer. This high-quality wedge amplifier was designed specifically for performing, rehearsing, and recording with electronic drum kits. With premium audio components, TransActive 400 provides plenty of power to keep up with any band. TransActive 400’s true bi-amped design and 400 Watts of peak power ensure that your electronic drum kit sounds clear, loud, and punchy whenever you play. Its custom-tuned electronic crossover provides a superb frequency response that can handle the modern drum sounds found in today’s music. With TransActive 400, the entire frequency range of the drum kit comes across with striking definition and clarity, so all your kick-drum, cymbals, and hi-hat sounds cut right through excessive stage volumes. Onboard bass, mid, and treble tone controls enable you to quickly tailor your drum kit to the demands of any performance or recording environment. TransActive 400’s lightweight construction and recessed handle make it easy to take this all-in-one drum amplification system on the road, to band practice, or to the studio. It comes built with a protective metal grill, robust wooden exterior, and rubber feet for powerful drum sound in a durable design. The angled front panel is ideal for seated playing and provides excellent sound projection. With TransActive 400, you'll be ready for your next gig–no matter where it takes you. Input and output connections are laid out on the back panel and keep the top-mounted controls clean, clutter-free, and accessible during performance. Stereo 1/4-inch outputs connect TransActive 400 to outboard PA and recording gear. For private playing or rehearsing, drummers can use the headphone jack that automatically mutes the main outputs. Two TransActive 400 amplifiers can be connected via a stereo link for a big, stereo sound that’ll shake the stage during live performances.